Infrared detects a major leak at radiant heating. System must be abandoned. 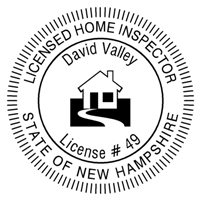 Dave also does basic home inspections but we hired him for his home infrared scan service to find out where we have cold leaks in our house. Dave did an excellent job. Responded to calls quickly. Arrived on time. Was very thorough. The best part is that he sent us an incredibly comprehensive multi-page report of his recommendations and pictures he took of every area of our house showing just wear the cold leaks were. He suggested the best ways to address each area. I think he provides a very valuable service to homeowners.